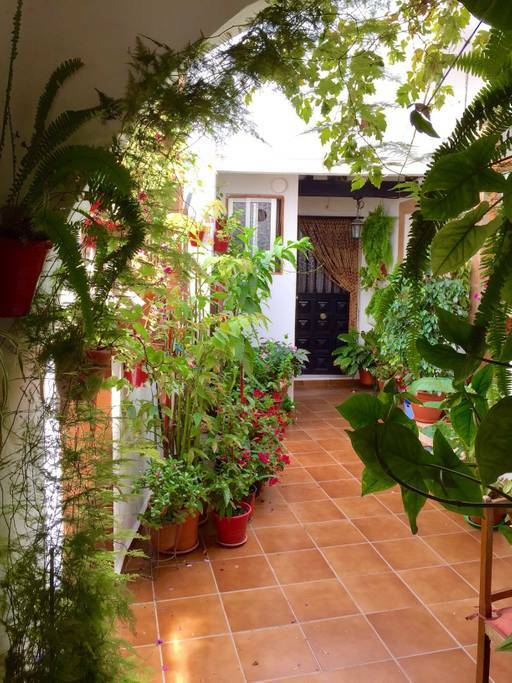 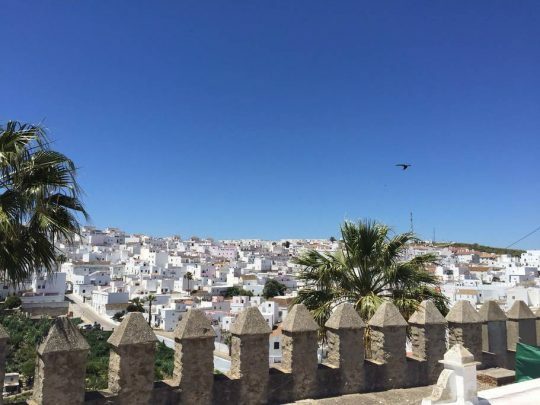 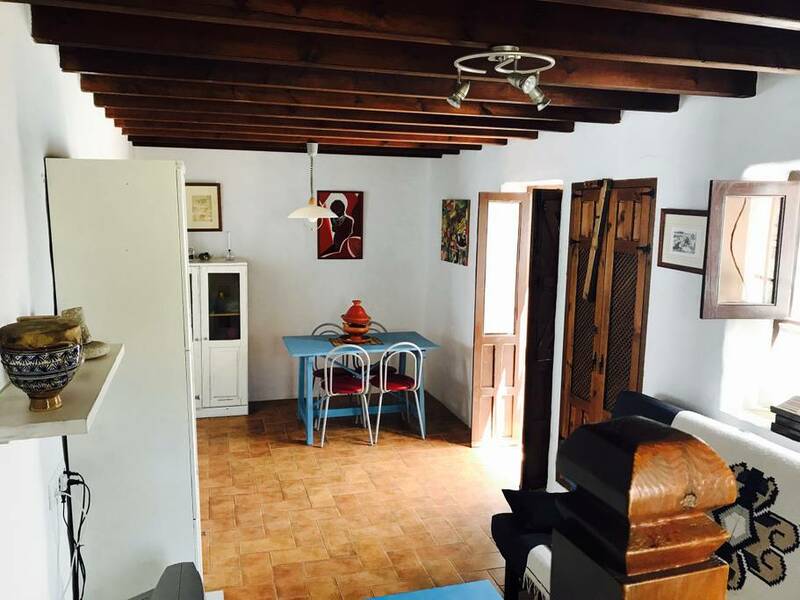 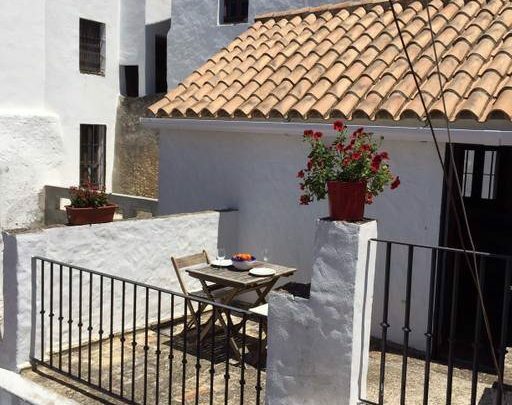 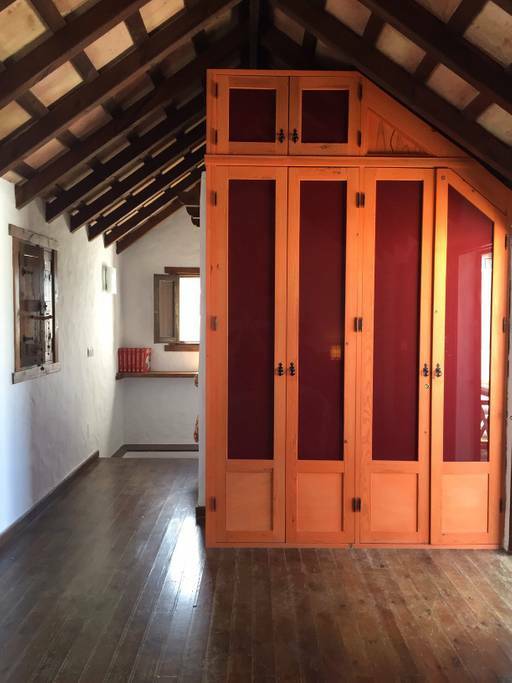 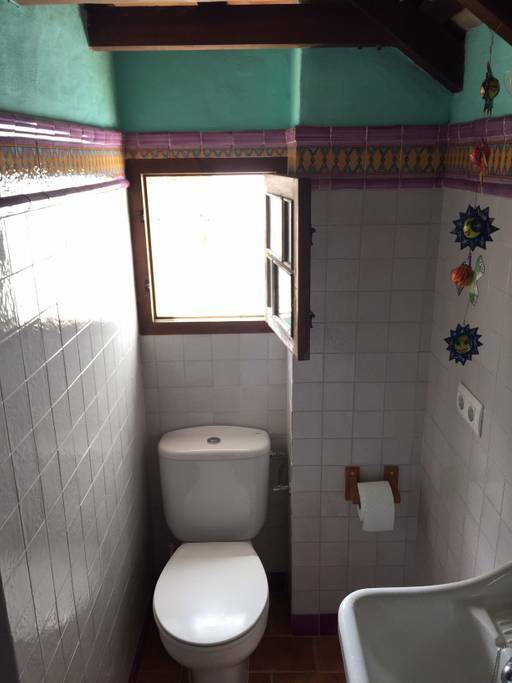 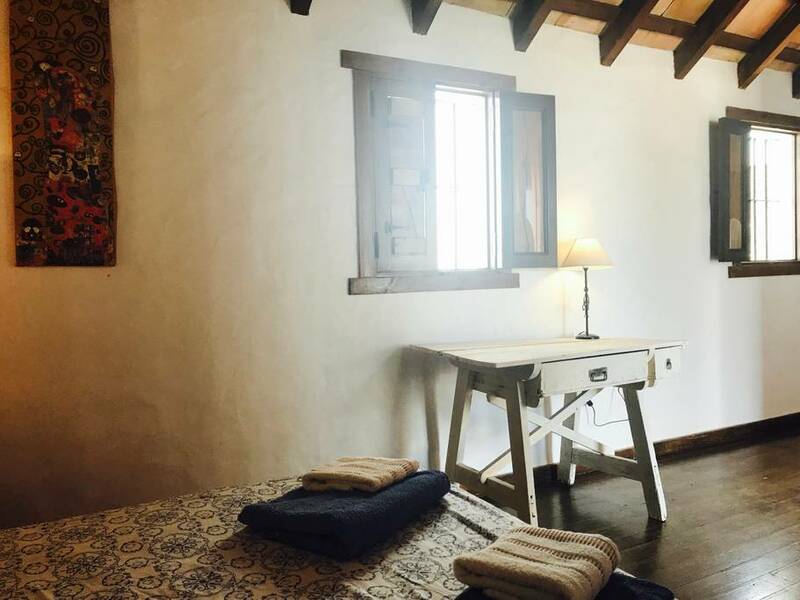 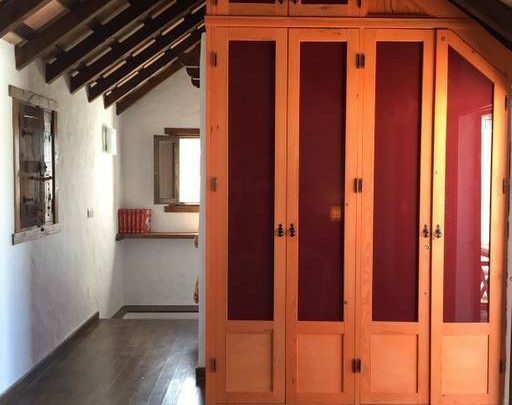 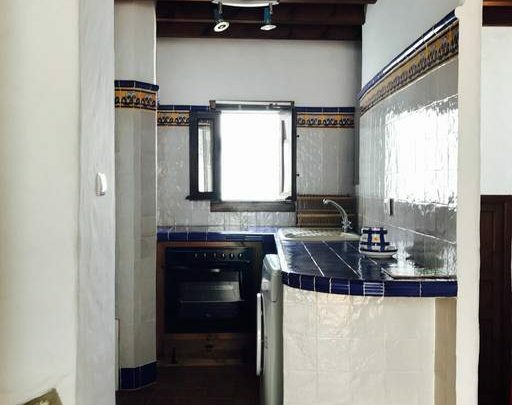 A charming and rustic 1 bedroom apartment with roof terrace located in the medieval quarter of Vejer. 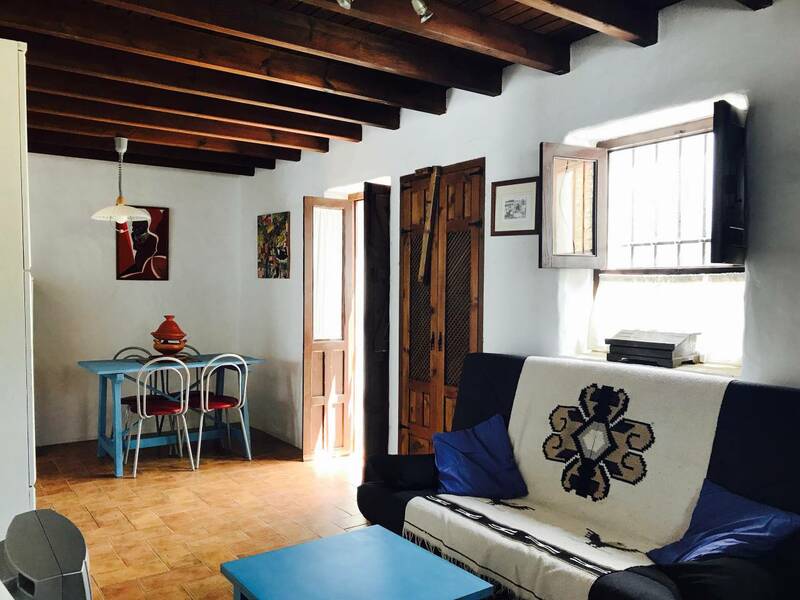 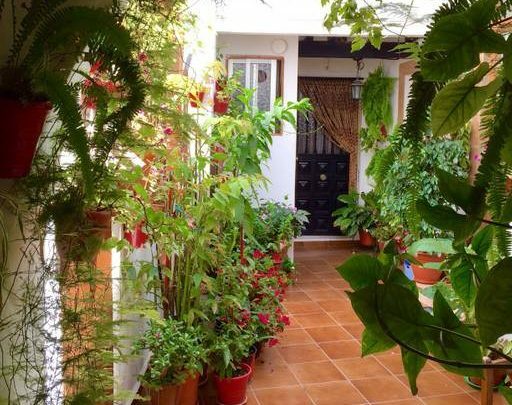 Apartamento Diego can also be rented with Casa Juderia for larger groups which is located in the same patio and has an adjoining lockable door. 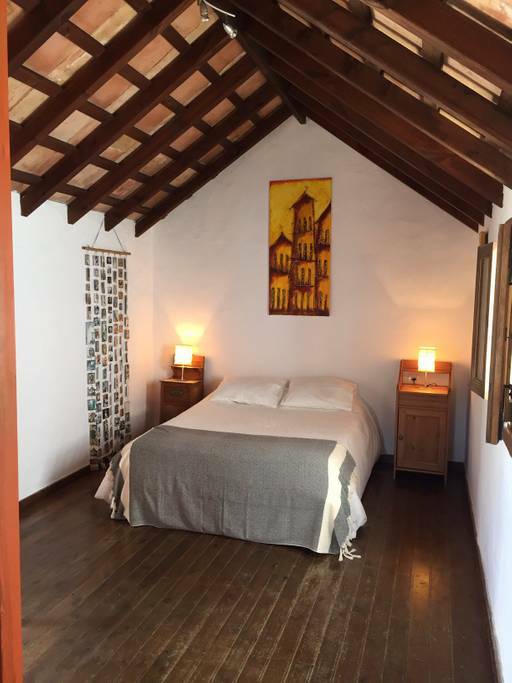 Apartamento Diego is arranged over two floors. 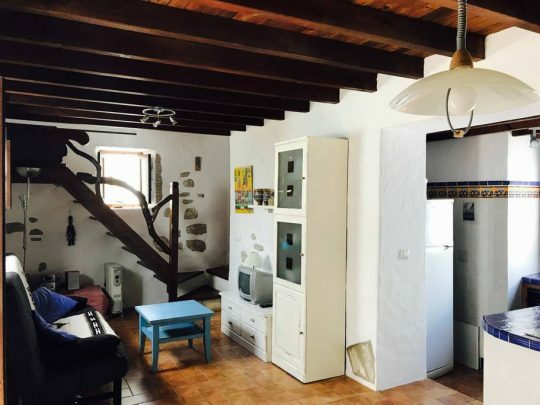 The first floor has an open plan living/dining area with TV and DVD and a feature rustic staircase made from olive wood. 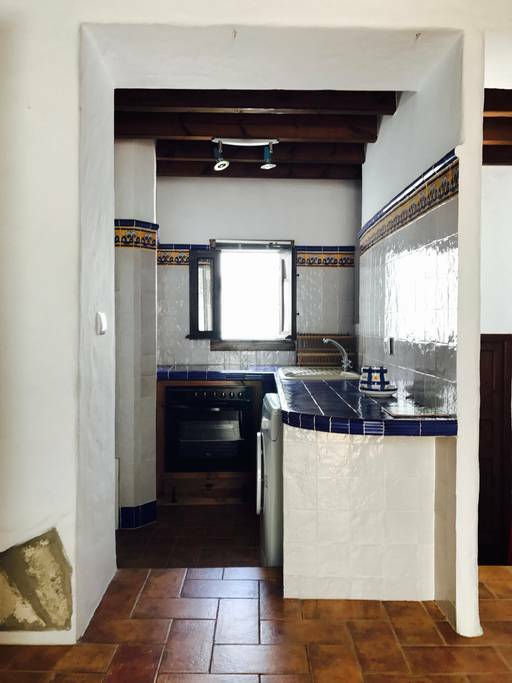 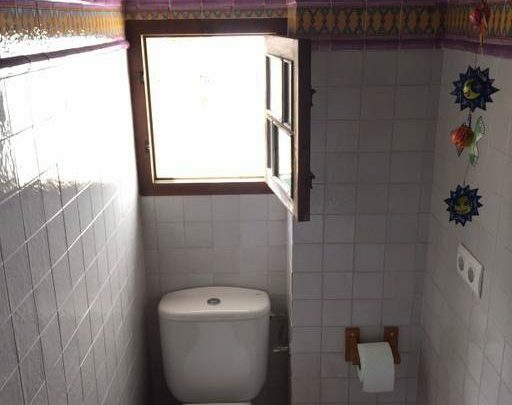 There is also a fully equipped kitchen with oven and 4-ring hob, large fridge freezer and washing machine and a side door leads out to a laundry patio. 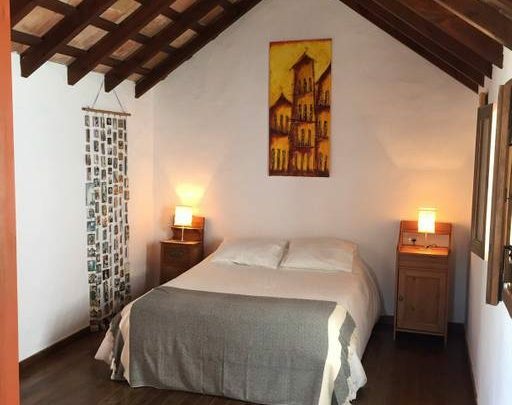 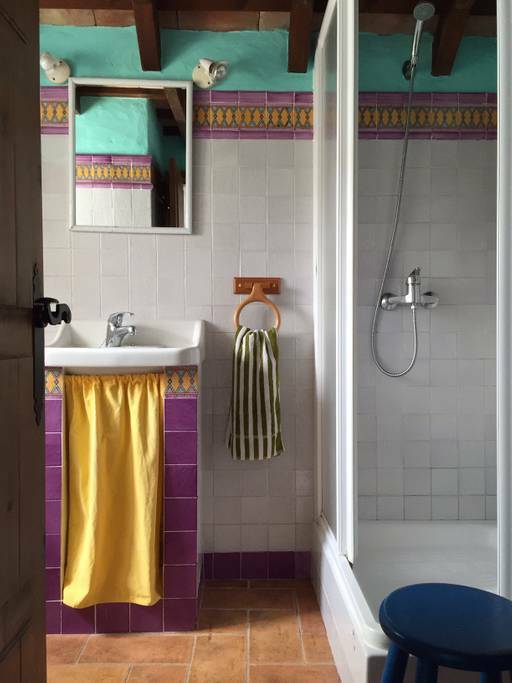 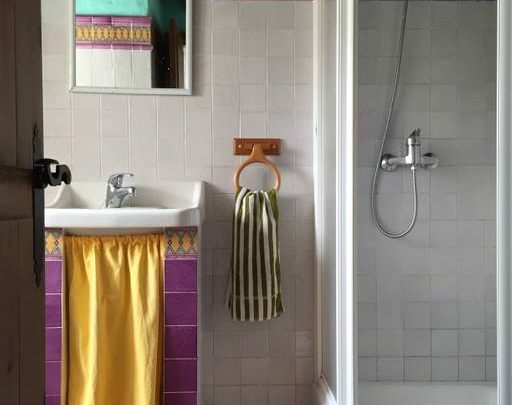 On the second floor is a double bedroom with original beamed ceiling and a shower room. 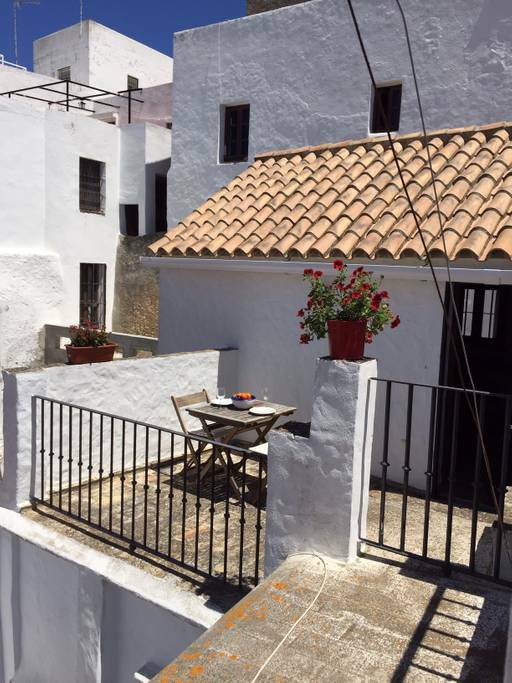 From the bedroom there is direct access to the roof terrace. With a sofa bed in the living room the house accommodates maximum 4 people.